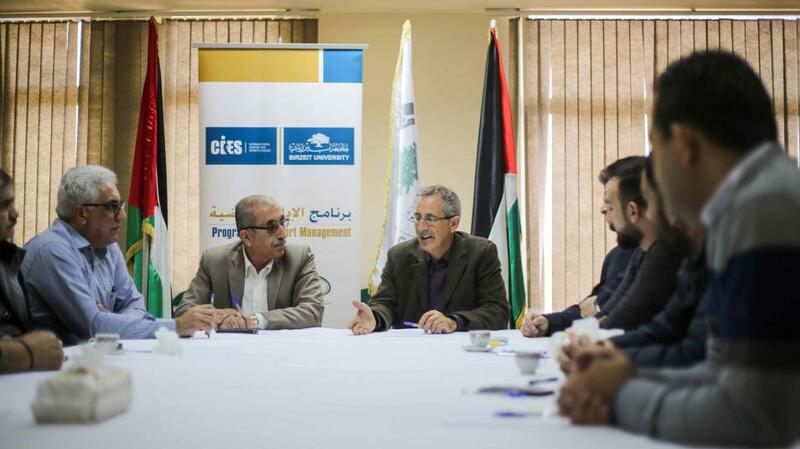 Birzeit University’s Center of Continuing Education signed a memorandum of understanding (MoU) with the Jerusalem Clubs Federation at the Center’s headquarters in Ramallah. The MoU aims to support and build the capacities of the clubs and sports institutions of Jerusalem by funding the participation of nine trainees in the FIFA/CIES Executive Program in Sports Management. The Program is implemented by the Center in cooperation with The International Centre for Sports Studies (CIES) – FIFA’s study center – and the Palestinian Football Association. The Program’s importance lies in its ability to enhance and build capacities in sports management for this sector’s officials, and improve the managerial and organizational performance in sports institutions. The Program aims to instill modern skills and knowledge in its participants by building on the latest principles of sports management, such as skills in sports law; financial, events, and general management; and communication. The program was introduced in 16 universities globally, in Argentina, Chile, Venezuela, Brazil, Trinidad and Tobago, Spain, Poland, Russia, Egypt, Lebanon, the UAE, South Africa, Senegal, Costa Rica, Peru, and Palestine. The Federation signed the MoU, which comes as part of the “Support and Development for Jerusalem Sports Clubs” initiative, on behalf of the Higher Council for Youth and Sports in Palestine. The project was funded by the Islamic Development Bank and is implemented by the Palestinian Economic Council for Development and Reconstruction (PECDAR). The Council was represented by the Middle District Director Mu’tasem Abu Ghraybeh; Mahmoud Al-Natsheh; Islam Hamad; and Kamal Daqaq, while the Jerusalem Clubs Federation was represented by its Director Ahmad Sarrour; its Vice President Badir Makki; Jamal Ghosheh; and Khaled Hijazi.